The Old Bonn Observatory in 2019. Photo: WonderDome. The building on Poppelsdorfer Allee 47 in the German city of Bonn is occupied by a graduate centre of the University of Bonn. But one look at the cross-shaped structure with several domes rising above it, the work of famous Prussian architect and city planner Karl Schinkel, will reveal its glorious past. 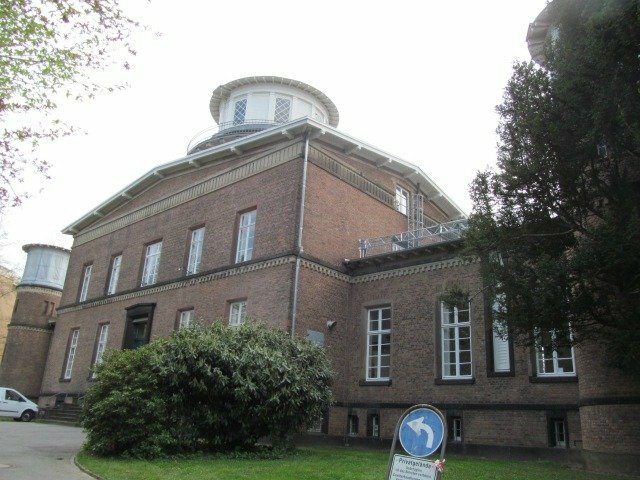 For this is the famous Old Bonn Observatory, the place where Bonner Durchmusterung, an astrometric star catalog that listed over 300.000 stars, was completed in 1903. Last year the International Astronomical Union decided to give The Old Observatory a status of “Outstanding Astronomical Heritage”. 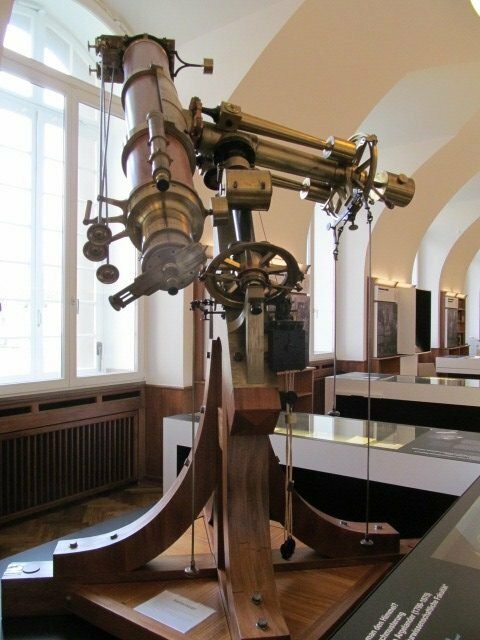 The original instruments of the Observatory are now on display in various museums and research centers across Germany. Join WonderDome as we are learning about the famous observatory and chasing down some of its historic instruments. The Old Bonn Observatory was a brainchild of a famous German astronomer Friedrich Wilhelm August Argelander. A graduate of the University of Konigsberg, Argelander worked as a director of Turku Observatory and later Helsinki Observatory before he moved to Bonn in 1836. In Bonn he designed and built his own observatory, thanks to the financial contribution of his friend, Frederick William IV, King of Prussia. Equipped with more than a dozen of state-of-the-art instruments selected by Argelander himself, the observatory opened in 1845. Argelander and his colleagues used the unique equipment to carry out the pioneering astrometric research. Argelander completed a monstrous for his time task: he determined the positions and magnitudes of over 300 000 stars visible from Bonn and created an excellent star atlas, the Bonner Durchmusterung (“Bonn Survey”). The telescope he used for the observations is a 7.7 cm Kometensucher (“comet seeker”). It is currently on a display in the hall of the Argelander Institute for Astronomy in Bonn. Variable stars are those that change their brightness over time. Stars can behave this way for different reasons. Some do so because they periodically change their size. Some, because they have an eclipsing companion. 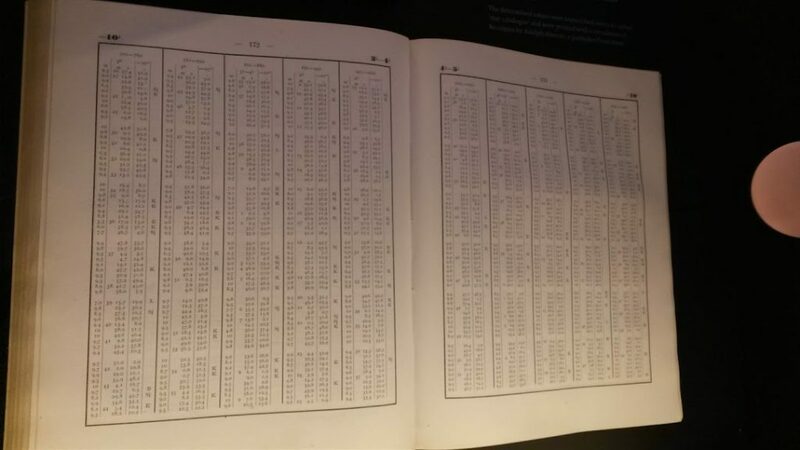 Argelander started systematic search for variables using the instrument, Schwerd’s photometer, that he developed. He also came up with the system for naming variable stars that astronomers still use today! You will find more information on star naming in our blog post Can I buy a star?. 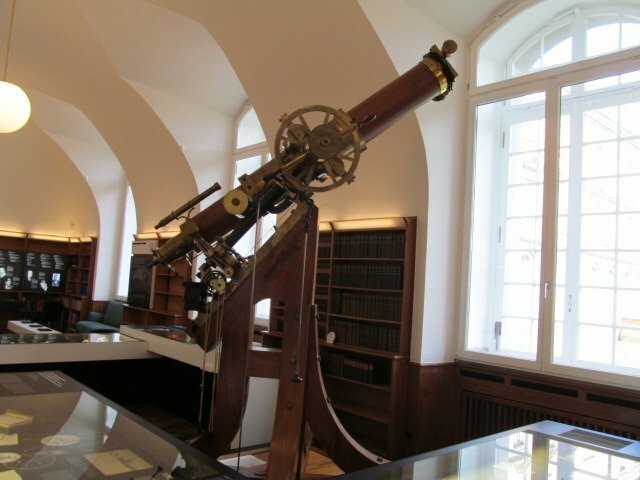 Argelander’s photometer can be seen by appointment at the Argelander Institute for Astronomy, Bonn. This is the task of a paramount importance in Astronomy. Interestingly, by 1870 astronomers knew the star distances of only 20 stars, four of them have been calculated at the Old Bonn Observatory. To measure star distances Argelander used the telescope known as Bonner heliometer. We found the heliometer on a display at the University Museum Bonn. A heliometer is a refractor, that is a telescope that uses lenses, not mirrors, to focus the light. Its object lens is cut in half to produce two images instead of one. You can move the half-lenses (and therefore images) along the diameter with a special screw. This will allow you to measure the sizes of the objects, such as the Sun, Moon and planets! But, most interestingly, you can apply the same technique to finding distances between the stars and, ultimately, to measuring stellar distances! Obviously, it is extremely important to know how far the stars are. Knowing distances to the stars, we can evaluate how big, bright and heavy they are. And even tell how they move through space. This task, believe it or not, is surprisingly difficult. Luckily, for a small number of stars, namely nearby stars, this problem can be solved using only a simple geometry! Argelander used his Bonn Survey data to find candidates for the “nearby” stars. Then he determined their distances with the Bonner Heliometer. Are you interested in the history of Astronomy? We could not help but admire the magnificent instruments, clever techniques and colossal work that has been done in the Old Bonn Observatory. Hope you enjoyed the virtual tour of this historical place with our space dome! Read our other blog posts to learn more about early astronomical instruments, historic measurements and astronomers.